At the beginning of each game, kids can watch a tutorial which shows them how to play. A narrator is also present throughout the games to provide hints and cheer for them. Kids can play the games in any order and replay them as often as they like. Game 1, The Blues Blubber Band, is an open-ended musical activity in which kids tap on different sea creatures to assemble their band. The band always plays in harmony regardless of their choices, so there is no right or wrong way to play. In Cranky Crab Countdown teaches kids to count down from the highest number by tapping the numbered crabs in descending order. Kids start with numbers up to five and work their way to ten. In the third game, Dobby the Dolphin, kids help a friendly dolphin unlock a treasure chest. Dobby will show them a number, and kids must tap two bubbles that add up to that number. Game 4 is a simple game in which kids tap to count to 100. The narrator counts along as kids tap on the screen, and numbers are automatically bundled up in groups of tens (10, 20, 30, 40, and so on). In Game 5, kids drag the correct number bubble to complete the equation on screen. They get three different equations each time, and every correct answer feeds Bubbles the puffer fish until it inflates and pops. Game 6 has kids matching bubbles with numbers to help Enrique the octopus shake his maracas. This exercise helps kids practice addition as they may need to combine multiple bubbles to arrive at a specific number. Parents need to know that Moppa Maths is a kid-friendly app with a simple and intuitive interface. It is fully narrated in English and doesn't require any reading. Though kids can earn coins to buy costumes for their characters, no real money is involved in the gameplay. The app has no ads and no in-app purchases, and doesn't require any internet connection to work. Moppa Maths is a fantastic way for kids to have fun while also learning math concepts such as number recognition, addition and subtraction, and number bonds. It challenges kids to do well, but at the same time there isn't any punishment for incorrect attempts, so the gameplay remains pressure-free. The rewards are also a nice touch to keep things fresh. For future updates, it would be nice if the app supports other languages and had other characters to choose from. More games would also be excellent, but as it stands the app is already a good value. 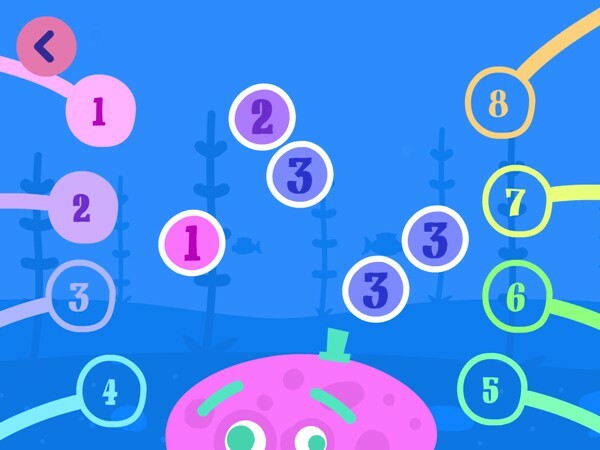 If you're looking for a nice app to help your young ones learn basic math topics, Moppa Maths is worth looking at. It's fun, educational, and appropriately challenging. Kids will love playing with all the underwater creatures and creating music after a fun practice session. Recommended for ages three and up.